This site will be an informal, but hopefully informative site pertaining to the Eagle Mfg. Co of Appleton, Wisconsin. The Eagle Mfg.Co. 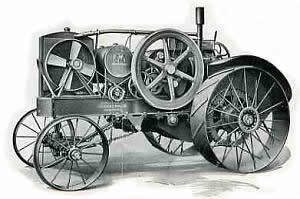 built early American farm tractors, engines and equipment. The Eagle Company did not build a great number of machines over the years that they were in business, and today this equipment is highly sought after by collectors. This site will be the place for Eagle collectors to go to and find out information about the tractors, engines and equipment they built. Also find out about upcoming and past Eagle events. Thanks to Rick Mannen for permission to use some text and photos from his book "A History of the Eagle Manufacturing Company" for this website. 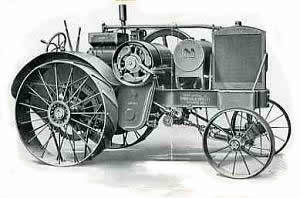 Rick has written many stories for Antique Power magazine pertaining to the old tractor companies and their Canadian Connection.